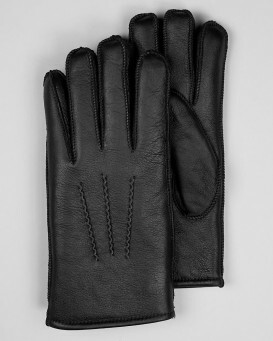 Womens Napa Leather Shearling Sheepskin Gloves - Black. Soft napa leather finish with a silky soft & warm natural sheepskin wool inner. 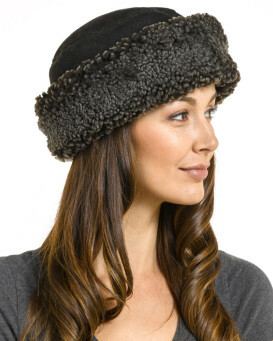 Made from 100% merino sheepskin, one of the world's finest quality sheepskin wools. Natural sheepskin is soft and light, amazingly warm and exceptionally durable. No natural or man-made fiber possesses the virtues of 100% shearling sheepskin. The unique combination of leather skin on one side and wool fur on the other lends it remarkable properties. 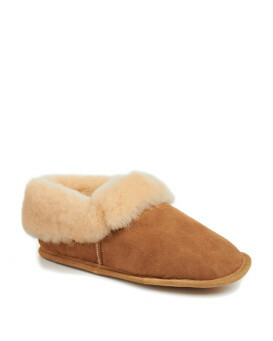 "Soft, warm shearling inside, roomy but not bulky. A very smart, practical glove for my trip to Russia. Exactly as pictured and a perfect fit based on sizing instructions. Great website experience with immediate email follow up and speedy delivery." "I love these gloves and allthe gloves from last year. They are warm and stylish and very well made. Buy a pair you will not be unhappy- I wear a large"
"Beautifully made, soft and warm. The large size only just fits across the palm. I am hoping that it will stretch a little during wear"
"Nice leather, just a bit stiff. I hope it will be warm when it's in the teens and single digits. 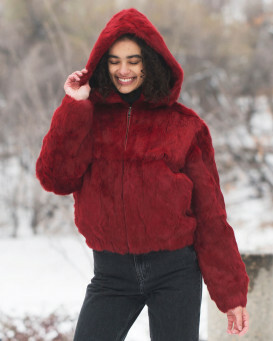 The lining is not near as thick as I thought it would for shearling." 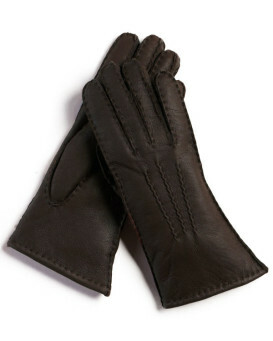 "Lovely warm, comfortable, well made gloves that are also nice to look at. Another succesful purchase from FurHatWorld." "These gloves are beautiful quality. They cost perhaps a bit more, but well worth it in my opinion." "Very warm!!!!! I wish the brown was in stock-"
"These gloves are very warm. In our recent cold spells, when high temperatures have been in the teens and twenties, with wind chills around 0 degrees Fahrenheit, they have kept my hands warmer than any other glove I've tried. And, I'm able to drive with these on. As some others have noted, they were a little tight, but, are loosening up with wear. I wouldn't have been able to size up, because the fingers are slightly long. My hand measured 7" around, so I ordered Small.The only thing I would like better, would be to add a knit cuff to keep the cold from my wrists, when my jacket sleeves pull up a little."